On a muggy spring day in Manhattan during the throes of the Great Depression, about 200 New York University students shuffled into a room on the 62nd floor of the RCA Building. They were there for a lesson on the principles of photoelectricity, taught by their professor, Dr. C. C. Clark. But strangely, the professor wasn't there in the room with them. At least not in the flesh. From a room fifty-nine floors below, Dr. Clark conducted his day's lesson, beamed to 15 television sets above, as the students sat in folding chairs diligently looking on and listening. His pupils were getting a look at television long before it would become known as a vast wasteland of junk entertainment. In 1938, TV was little more—or less—than the classroom of the future. Dr. Clark had a history of heartily embracing new technology in his classroom; just three years earlier he had conducted an entire lecture via radio. Press coverage of that forward-thinking experiment was extremely positive and hinted that the next evolutionary step—this burgeoning technology of television—would surely be invading the classrooms of tomorrow. Not only did Clark's 1935 radio class include the professor's voice, but a transceiver in the classroom also allowed him to take questions from his students. The tech press at the time assured readers that futuristic two-way television would be a boon to this bold new approach to education. Clark's May 20, 1938 classroom experiment at RCA was this assurance made good. We've taken a look at countless visions for how new technologies were going to shake the very foundations of how Americans were educated in the 20th century. 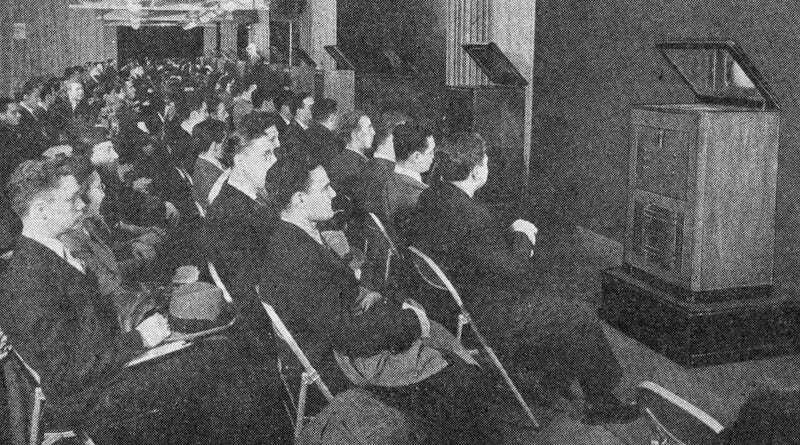 In 1938, the classroom was a particularly appealing arena for TV manufacturers and broadcasters hoping it would prove profitable after a decade of investing in research for the stubbornly complex technology. But there were skeptics, both in and outside of the education field. And the TV tech companies (most of whom were legacy radio companies) brought in authoritative figures to assure the public that theirs was not a vapid effort. When Dr. James Rowland Angell retired as the president of Yale University in 1937 he was hired as an educational consultant for NBC. In his new role he lent credibility to the fact that TV would open up exciting new doors in distance education—an area in which the previously hyped technology of radio had failed. "We regard the possible uses of television in connection with educational work as literally unlimited," Angell said. Angell was there along with Professor Clark at the RCA Building for Clark's 1938 classroom TV experiment. And Angell explained that this was indeed the future. He was quoted by the Associated Press as saying, "Five years from now, I expect to see television used very frequently in the classroom." Unfortunately for RCA, the massive disruption of World War II would postpone the arrival of television in the United States, not only in the classroom but also in the living room of tomorrow. Their streamline mirror-based TV sets (see photo below) would provide for TV's coming out party to the larger public at the 1939 New York World's Fair. But WWII would push off dreams of TV-lined classrooms for decades to come. Many new technologies find applications in education even today; you don't need to look much farther than the iPad for a modern-day corollary. But it's fascinating to see how quickly the shine wears off. Today, Massive Online Open Courses (MOOCs) seem to be the exciting academic technology application that people can't help but place such hope in. Admittedly, there's a lot to be excited about when it comes to this egalitarian approach to education. But in many ways, the classroom of today doesn't look that much different than that of a century previous: Spurts of innovation with unproven long-term potential. Only time will tell if the 21st century internet can beat the 20th century's somewhat disappointing track record in delivering the classroom of tomorrow. And if tens of millions of laptops can succeed where 15 televisions couldn't. Top image: scanned from the September 1938 issue of Radio-Craft magazine. 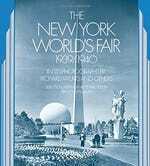 Bottom image: scanned from the The New York World's Fair 1939/1940 In 155 Photographs by Richard Wurts and Others.